Mashery is pleased to announce the availability of a new report that provides customers program-wide visibility of API call volumes across their entire product offering. 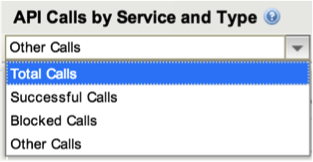 This new report, entitled API Call Volume by Service and Type, can be found in the Reports section of the Mashery Administration dashboard within the summary page, and is automatically turned on for all customers. Customers using the API Packager feature would see a similar report entitled API Call Volume by Package and Type. This release represents the latest way that Mashery is providing guidance to our customers to identify interesting program components that would be great candidates for additional review time of the associated business and technical metrics.